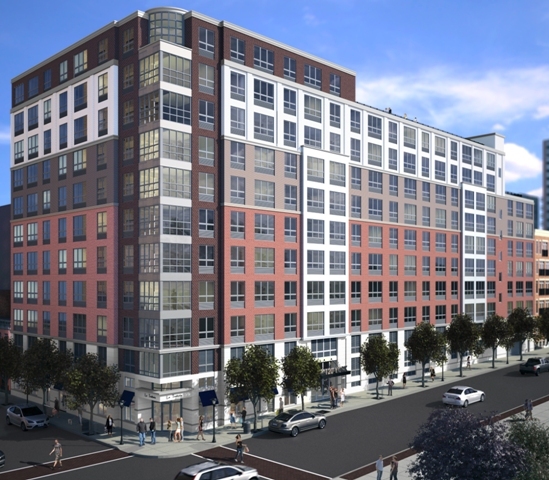 JERSEY CITY, N.J. – Warren at York, a new luxury rental building rising in Jersey City’s historic Paulus Hook neighborhood, is on pace for an early spring grand opening. But for eager renters wanting to be among the first to explore the boutique mid-rise community, developer BNE Real Estate Group will offer an exclusive “sneak peak” preview opportunity to waitlist registrants later this winter. Interested renters that join the community’s waitlist at http://www.WarrenAtYork.comwill be invited in for a behind-the-scenes tour of the model home and amenity area, with the chance to pre-lease studios, one, two & three bedroom luxury apartments at best-value prices. To take advantage of this premier rental opportunity, visit the website today to ensure that you’re on the invitation list! Located at the intersection of Warren and York Streets in the quaint and family-friendly Paulus Hook neighborhood of Jersey City, Warren at York will be an 11-story boutique-style building featuring 139 residences. A distinct collection of studio, one-, two- and three-bedroom apartments will be available to pre-lease later this winter, ranging in size from 607 to 1,789 square feet of living space. One underground level of parking and two above ground levels of parking are incorporated into the building’s design. 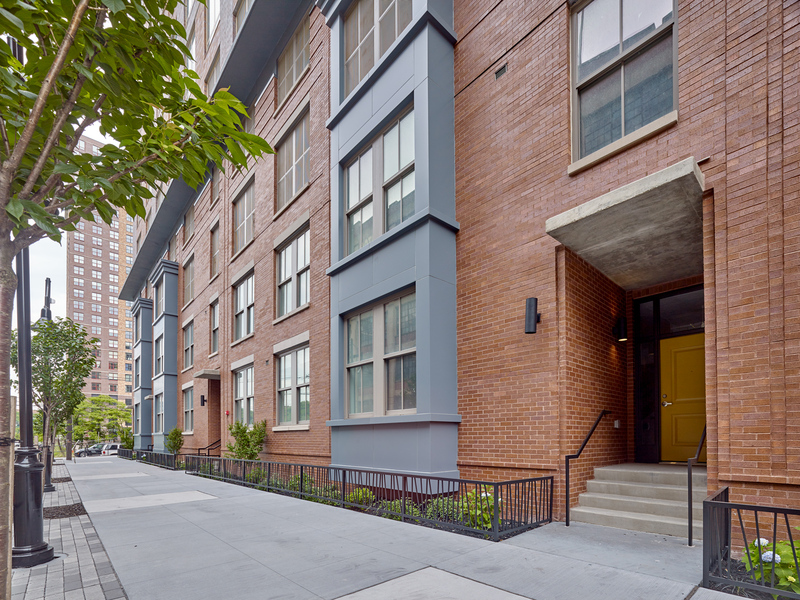 The multi-color brick and glass exterior contextually blends into the surrounding historic architecture of Paulus Hook, yet provides residents with the comfort and convenience of a modern, new-construction building. Residences within Warren at York will feature condo-style interiors with spacious layouts, soaring nine-foot ceilings, designer finishes and oversized windows, many with spectacular views of the Hudson River and the Manhattan skyline. Chef-inspired kitchens will include stone counters, mosaic tile backsplash, custom maple cabinetry, pendant lighting and stainless steel appliances. Deluxe baths will include such luxury features as stone tile floors, Caesarstone counters and custom cabinetry. In-home washer/dryers and Smart Technology home systems are among the other features found throughout the homes. Warren at York will offer residents a wealth of amenities and services that aren’t always found in a boutique residential community. These include 24-hour concierge service, a state-of-the-art fitness center, residents’ lounge, business bar, billiards room, media room, kitchenette, landscaped terrace and on-site parking. The community was designed to be green-conscious and pet-friendly, and non-smoking floors are available. Warren at York’s ideal location in downtown Jersey City is especially convenient for commuters. The Exchange Place PATH station, with service to Manhattan, is only three blocks away, the Grove Street PATH station is only six blocks away, and the Hudson-Bergen Light Rail and NY Waterway ferry service are both just a short walk from the building’s entrance. Some of Jersey City’s most popular restaurants are just steps away from Warren at York, as well as numerous boutique shops, neighborhood pubs and coffee shops. For more information, please visit http://www.WarrenAtYork.com or call (201) 433-3838. With over 60 years of real estate development experience, BNE Real Estate Group is a national, family-owned organization that is firmly committed to creating exceptional living experiences for their residents. Their distinguished portfolio of properties include the development of over 30,000 homes, more than 1 million square feet of commercial space, and the ownership and ongoing management of nearly 8,000 apartments, with communities stretching from the Tri-state area south to Florida, and west to Texas and California. In addition, BNE’s property management division is dedicated to providing the highest level of customer service to their residents through innovative systems, extensive resources and highly trained professional staff, earning a stellar reputation for superior service, reliability and responsiveness. For more information, visit http://www.BNERealEstate.com. Tickets on Sale Now for Une Nuit D’Amour!